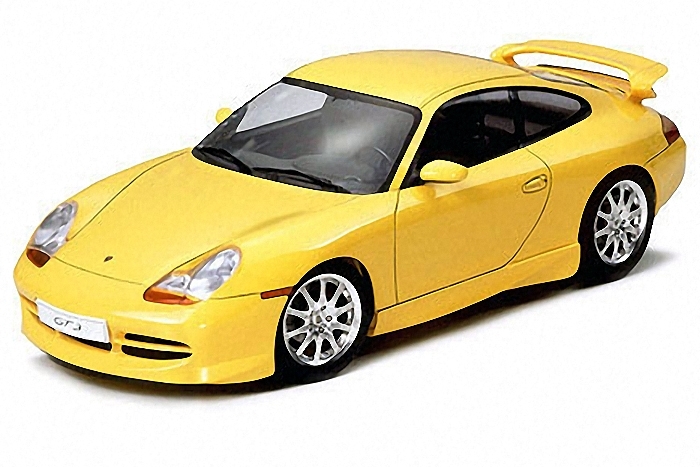 Since its debut in 1963, the epoch-making Porsche 911 has captivated generations of sports car enthusiasts. Over the years, various models of the 911 have been released, including the 1998 Le Mans-winning 911 GT1. 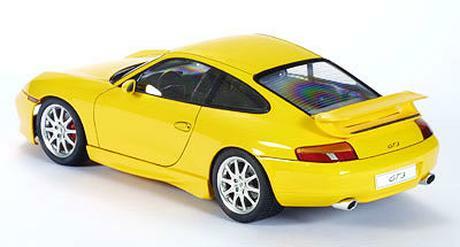 In 1999, the "heart" of that automotive masterpiece, the water-cooled flat-six engine, was inherited by the Porsche 911 GT3. The brainchildren behind that machine are Porsche"s development engineers in Weissach, who imbued it with superior agility and handling, without compromising active safety. Capable of accelerating to 100km/h in a mere 4.8 seconds, and with a top speed of 302km/h, the GT3 achieved a new record for production cars when it completed a lap on the northern circuit of Nuerburgring in only 7.56 minutes. 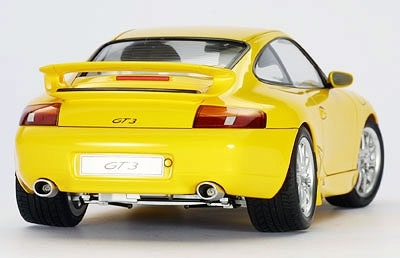 The exterior appearance of the GT3 remains true to that of its predecessors, but features a new rear end, discreet side-sills, fixed rear wing, red brake calipers and sporty 18-inch light-alloy wheels. Compared with the 911 Carrera, the four-piston aluminum fixed monobloc brake calipers are larger and sturdier than before, and tightly grip the perforated brake discs. The GT3 cockpit is true reflection of its performance. 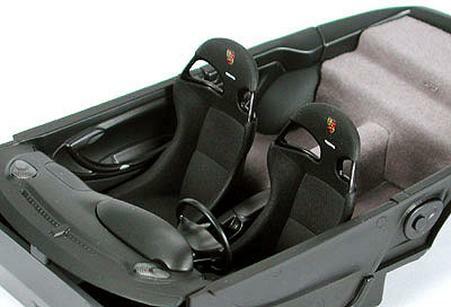 It features leather-covered bucket seats, which ensure not only ample side support, but also comfort on long journeys and provide about 20kg of weight savings. And since the entire rear-seat section of the car has been dropped, the overall weight of the GT3 was reduced by another 8kg-a true benefit for a sports car of this performance level. 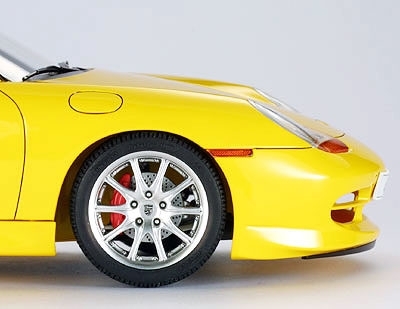 Tamiya has recreated this epoch-making sports car in 1/24 scale. The intricate engine is visible when model is viewed from below. The upper surface features a four part rear-wing construction, enhancing the sophistication of the body design. Kit also comes with the Porsche emblem, authentically recreated as a metal transfer. The inside of the detailed cockpit includes a carpet seat for the floor. 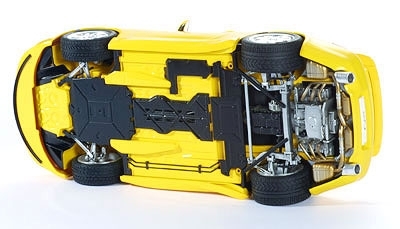 Glossy metallic parts are used on the wheels, headlight reflectors, door mirrors and muffler. Special Feature 1 Two-seater cockpit interior authentically recreated. Special Feature 2 Undersurface of chassis abounds with detail. Special Feature 3 Pirelli P-Zero replica tires are made of solid rubber. Special Feature 4 Cockpit interior "GT3" emblem includes a metal transfer mark."